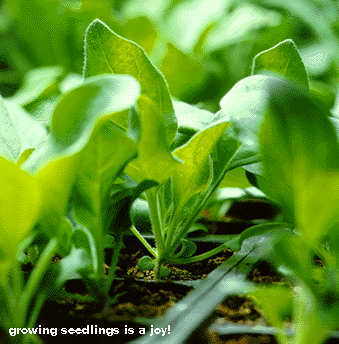 Introducing your vegetable seedlings to their new home is a fun and exciting way to start off the season. Use this as a guide to make sure that your site has a few specific requirements. Vegetables prefer fertile, well-drained soil. Ideally, you should prepare the garden soil several weeks ahead of planting time to allow the amendments to blend and homogenize with the soil. You can amend the site with well-rotted compost to both increase the organic matter and improve drainage. You may also consider planting in raised beds if drainage is a problem. During planting time, you can add rock phosphate or bone meal as well as kelp meal or greensand to provide trace minerals and potassium. Also, you can add a natural, slow-release fertilizer at this time or feed the vegetables with a liquid fertilizer every two to three weeks once the seedlings have begun to grow. Most vegetables require at least 6 to 8 hours of sun each day to be fully productive. Collards, mustards, lettuce, chard, and other broad-leaf greens can tolerate less sun, although production will be greatest in full sun. In areas with extreme warm summer temperatures, provide all vegetables with some shade during the hottest part of the day. 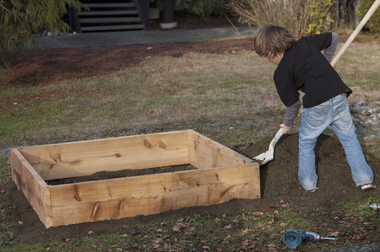 Building a raised vegetable bed is easy and economical. It helps to keep the soil and you seedlings intact, while keeping pests and insects out. You can also control your slug population by surrounding the bed with 2 X 4 wood and attach astro turf to the underside of the board. The slug will try and climb up and will fall off once it hits the astro turf.